When I started writing this post, I titled it “Ten Biggest Wine Client Misconceptions” but the post was getting so long I renamed it “Five…” and now we’re down to three. I think this will be an ongoing post topic, because really there are so many…and they persist. I love my clients. They are eager, passionate and ready to plunge into the wine industry with the enthusiasm of adventure seekers who are about to turn a love of wine into a career. They come from all walks of life and their plans and goals are as disparate as their personalities, but they have one thing in common: their desire to enter the wine industry exceeds their knowledge of how to proceed. Okay, two things in common: they usually experience some confusion about what is involved and what it all means. It is no wonder. The U.S. is a quagmire of regulations and a morass of rules. It takes time and experience to begin to understand how to navigate these waters and as they embark on their new venture, they have neither. #1 Misconception -You can be all things to all people in the wine industry. In other words, importer, wholesaler, retailer, restaurant, wine bar, tasting room…and so on. At least in most states, with a few exceptions for special circumstances and wineries in particular, you cannot be both wholesaler and retailer. This dates back to the Tied House Rules of England. There are definitions for this law on the ttb.gov site and variations in every state, but in its simplest form its intent was to prevent alcohol sales monopoly. In the UK, this resulted when a brewery also owned the pub and required that only that brewery’s beer was poured and sold, creating a pub that was “tied” to the brewery. Tied House rules were adopted in the U.S. following Prohibition at the same time it created the 3-tier system, which kept each level separate and distinct, in an attempt to avoid monopolies, regulate sales, ensure the collection of taxes and maintain their autonomy from the Federal government. “Okay,” says one, “I want to be an importer and a distributor and have a tasting room in Washington. Is that okay?” No, it’s not. The importer and distributor are both wholesale operations, so that’s fine, but the tasting room is considered a retail enterprise. “But a winery does it!” Yes, that’s the exception. A winery has an outlet for the sale of the wines they produce, under a different license. You are not a winery. And besides, in the state of Washington you would be a Beer and Wine Specialty Shop with an Add-on Endorsement allowing you to sell tastings as long as at least 50% of your sales are in bottles. Yes, I know it’s confusing, but that’s their law. That particular client is certainly not alone in his dilemma. It is such a difficult concept to get one’s head around. In fact, none of these laws really make a lot of sense. They sprouted as a reaction to the end of Prohibition, the fear of intemperance and a desire by the States to get their fair share of taxes, and have persisted and grown, like kudzu, as the decades rolled by and pressure was applied from one faction or another on legislatures, to protect their self-interests. We live with it, we build our wine businesses within it, and gradually it gets chopped back to make it manageable and perhaps even workable. “I think I’d like to be a distributor in Georgia, South Carolina and Florida for starters.” Um, no. Firstly, you can only be a distributor in a state in which you have a brick and mortar facility – licensed, bonded and replete with all the accouterments that are required to service the state’s retailers, such as salespeople, delivery trucks, warehouse, an office where paperwork is completed and filed, invoices are sent and money collected, etc. You cannot drive willy-nilly across state lines to deliver to other states. That would not comply with their laws and they are unlikely to collect their portion of taxes. “Well, I’ll set up in South Carolina and appoint someone in Georgia. I called someone from the phone book the other day and he seemed interested.” Good god, no. You must thoroughly vet whoever you appoint in this state. Georgia is one of the more severely restricted franchise states, where you sacrifice your wines at the altar of the state’s distributors and never, ever get them back. That’s only a slight exaggeration. Of course, there are some fine, ethical distributors in this state, but if you appoint a distributor in Georgia and decide they are not doing a satisfactory job, even if they do not sell the wine, even if they do not pay you, even if they set out to sabotage and undermine your brand in the market, it does not matter. The franchise laws protect them. The only remedy in this case is to get a letter of release from the distributor (which they can refuse, or demand compensation), appeal to the GA Department of Revenue’s arbitration or stay out of Georgia for two years. Yes, it’s a jungle out there. Yes, that’s how I’d like it to work too. Whether we’re a producer, supplier, importer, wholesaler or retailer, we all spend a great deal of time on whatever pursuit is in our purview – growing, winemaking, sourcing, buying, shipping and storing. In the case of the foreign supplier or exporter or the new U.S. importer, they look at the U.S. as one giant conglomerate of wine-drinking potential and say, “300 million people in the U.S. I only have a few thousand cases. That will be a drop in the bucket to that population. Let’s get started” Well, unfortunately this is what every other person before them thought too, with the result that there are millions of cases of wines from all origins, at all price points and all clamoring for attention. I know these well-meaning individuals all come with the best of intentions – at least the ones who find me. They have connections to the land or the wineries, they love learning about wine, they found remote regions with esoteric wines, or they have a new idea. I understand that. I really do. And it can be done, despite the oceans of wine, because other people don’t plan ahead or they price inappropriately or mismanage their business and they fail. The trick is to take the nebulous image of what someone would like to achieve and turn it into reality. Doing due diligence first and approaching it as a very serious business, not as an idle pursuit where you throw stuff against the wall and see what sticks. The other factor is time. It takes far longer than anyone anticipates setting up whatever shape this new business is going to take, sort of like when you remodel your house. You have to plan for contingencies. If you are setting up on online selling business, make sure you don’t send your email blast prematurely, promising your customers a delivery date, until you can be assured it is in your warehouse or on its way. If you have a retail store site, make sure all the appropriate zoning requirements and ABC licenses (or state equivalent) are in place before you announce an opening. For importers or foreign wineries, the timeline has to be tracked back to the winery and the negotiations over the wines, purchase prices, quantities, payment terms, currency, to submitting U.S. compliant label graphics for approval by TTB (Alcohol Tobacco Trade Bureau), having wines bottled and labeled, finding suitable ship dates, arranging containers and clearance and getting it into the warehouse. That’s if the wine makes it to port on time, the ship doesn’t hit a snag along the way, or…oh, you get the point. Just make sure to plan for contingencies and tick every box along the way. I love my clients. They come from every walk of professional life, spanning an age group from mid 20’s to late 60’s. Their experience ranges from none to 30 years in wine retail, with available investment capital from bare bones to bountiful. They live in all time zones from different backgrounds, with big ideas and small. 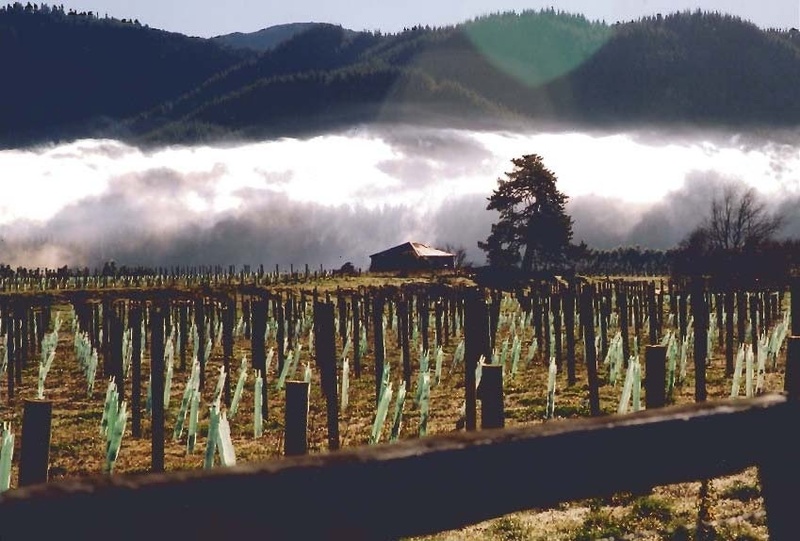 But each and every one wants to start out the right way in the wine business and one of the first steps is clearing away that mist of misconceptions. I’m in awe of all you know, Deborah. This is a foreign language to me–one in which you clearly have expertise. Kudos to you. Thank you, Jan, but it’s just one area of expertise. You have another. I just thought it was time to follow through on the theme I set myself from the beginning – an industry perspective from the inside.